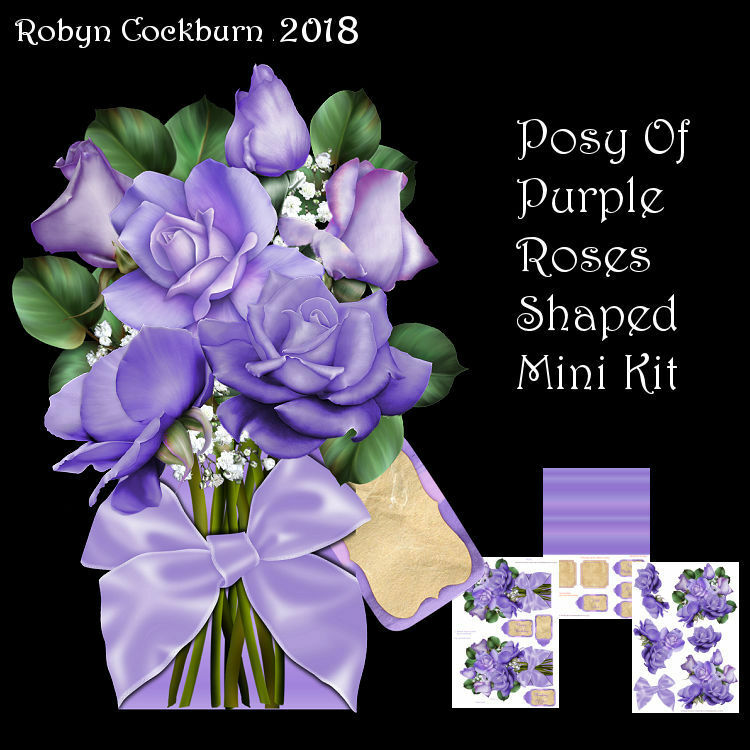 An eye-catching card in the shape of a posy of mauve roses and rosebuds, tied with a bow. The card is approx. 5 inches x 7 inches. It has gorgeous layering on the flowers and a variety of sentiment tags to suit many occasions. The kit contains 3 sheets - card front - card back - background paper to print on reverse of front and back - opulent decoupage layers - message plaques for inside the card - greeting tags saying Happy Birthday, Happy Mother�s Day, Get Well Soon, With Love, Thinking Of You and a blank.